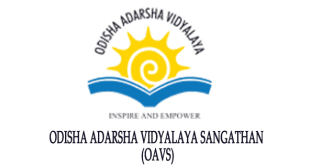 Odisha Adarsha Vidyalaya Sangathan (OAVS) Published Online Admit Card for Recruitment to the Post of Principal and Teachers in the OAVS. Now Candidates Can Check their Exam Venue & time Table. OAVS PRINCIPAL, PGT,TGT Teachers Admit Card 2017 Available. Now Candidates Can Download Admit Card from Official Website of OAVS. THE Downloading of Admit Card Facilities will Available from 10.03.2017.